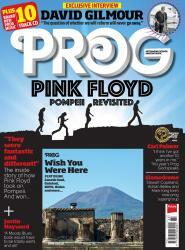 The latest issue of the UK's Prog magazine, which is now on sale, has a feast of Floyd within its pages. With the impending domestic release of David Gilmour's Live At Pompeii film on DVD, Blu-ray, vinyl and CD, and the cinema screenings worldwide of an edit of the performance, Prog have a big cover feature telling the inside story of the original performance and film, which is full of fascinating insights. This is coupled with a nice interview with David discussing his return to Pompeii, his last world tour and discussing getting to work on new material, and suggests that an album and tour aren't out of the question. All in all, the magazine devotes 17 inside pages to the subject, and there are some lovely pictures included. 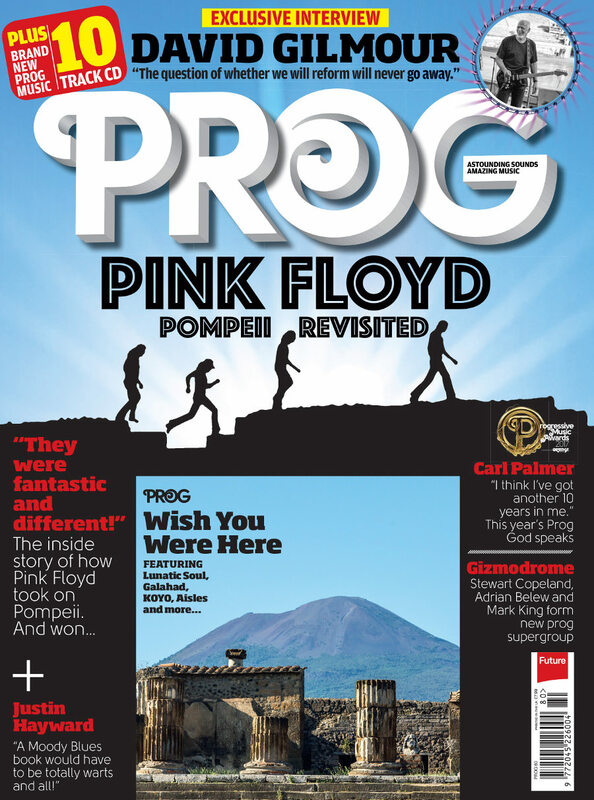 You can purchase Prog Magazine, either as single issues or as a subscription, in the UK and internationally through this direct link. Prog is also available on iPad, Google Play, Kindle and Nook.